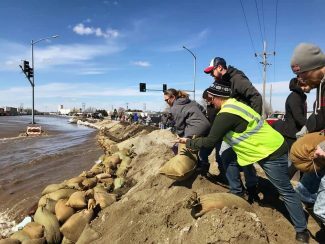 In the throes of heightened sensitivity regarding Nebraska's historic flooding, meteorologists are cautioning residents near rivers and streams to stay alert and vigilant during and after any spring rain forecasts. A tumultuous combination of snowmelt, then rain on top of the snow which released all the precipitation into the snowmelt, and on top of that the ground was frozen. When the water can't get into the ground, it just went right into runoff, and the rivers, streams and creeks filled up rapidly. Not only is Nebraska challenged by flooding impacts, but other states including eastern Kansas, parts of Missouri, as well as Iowa have also been dealing with flooding, and now winter's tight snow-pack is causing ice jams and snowmelt from Montana to the Dakotas, and into Minnesota, Wisconsin and Illinois. "Some of the flooding we've seen has started to recede, but there is still flooding in northwest Iowa, which is in moderate to major flood near the Big Sioux (River) and the West Fork of the Des Moines and obviously along the Mississippi (River). As for the places hit hard with rain on top of snow-melt, there are lingering impacts. The Dakotas, both North and South Dakota, and Minnesota are dealing with snow-melt and ice jams now. 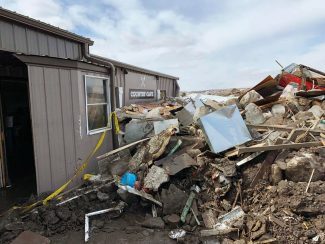 Right now in parts of western North Dakota, where the Missouri River and Yellowstone Rivers converge, there's major flooding there due to an ice jam and snow melt over the last week," said Jaclyn Ritzman, emergency response specialist at National Weather Service/Central Region Headquarters based in Kansas City, Mo. "There's quite a bit of snowmelt that's expected to take place in the Dakotas, northern Minnesota and northern Wisconsin as there will be snow that will be melting over the next month or two as we continue through spring," Ritzman said. Also, as a Pacific storm system moved inland last week, heavy snow was expected to develop in the northern Rockies midweek, and then spread across the Central Rockies and Plains later (March 29). 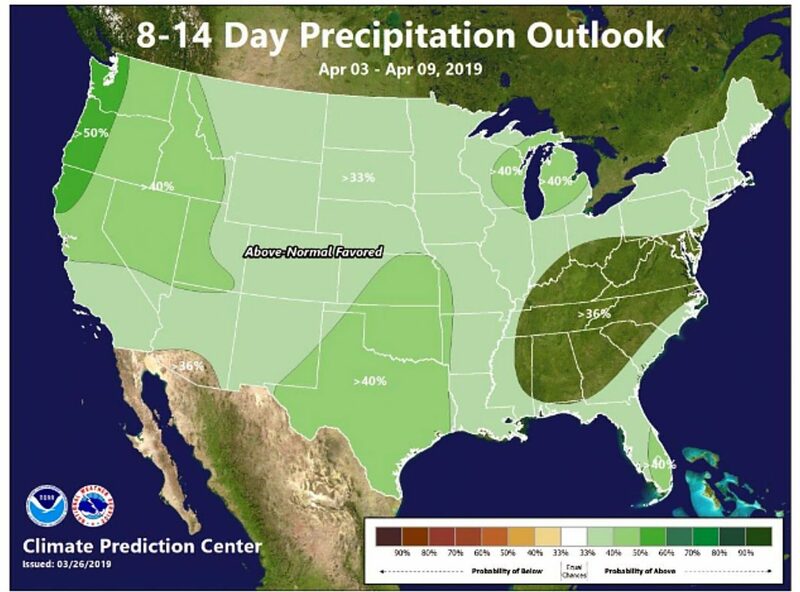 There's also the Climate Prediction Center's April-May-June outlook, favoring an increased chance for above normal precipitation across all of the Central Plains. Temperatures will lean toward colder than normal from the Dakotas to north Texas, including Kansas and Nebraska. 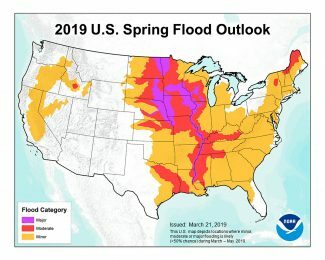 "In addition, NOAA's Spring Flood Outlook continues the risk of major flooding along the Missouri, Lower Platte, Lower Niobrara, Wood River and Elkhorn Rivers in Nebraska and moderate spring flood risk in the Solomon River Basin in Kansas. Not only is the region already saturated from late winter snow and rain, but snow-pack in Colorado and Wyoming is running 100 percent to 130 percent above normal in the upper Platte River Basin, and snow-pack will peak in late April before beginning to melt in May," said Mike Moritz, warning coordination meteorologist at the National Weather Service in Hastings, Neb. "This will result in increased runoff in the Platte and the Missouri Basin, possibly through mid-June. Given current wet conditions, and the potential of enhanced wet weather in the long term outlook, those with interests along rivers and streams, or in flood-prone areas, should be alert to the heightened risk of spring flooding this year." Moritz said predicting long term precipitation is notoriously difficult, but that the signs are there for potential flooding problems across the Central Plains this spring. The National Weather Service says historic flooding has severely impacted several states in the central U.S. causing extensive damage and economic loss to homes, roads, infrastructure and the agricultural community. The Nebraska Emergency Management Agency is calling the state's flooding "historically catastrophic." Many counties in Nebraska and surrounding states have been declared disaster areas, due to the flooding. The University of Nebraska Extension is offering resources to flood victims through the web page at https://flood.unl.edu. These include the first steps to take to flood recovery, information about well water after a flood including guidance if a homeowner is concerned that a private well might have been contaminated by flood water, including testing the water and how to treat it if necessary. There's also information about flood-damaged grain, which officials say is at higher risk of mold damage and from contaminants in the water. Meanwhile, across the border into Kansas eyebrows are being raised for concern in the eastern half of Kansas with the immediate impacts, mainly in the form of potentially heavy rains Thursday through Friday (March 28-29) across the eastern half of the state. "That's where generally 1-2 inches of rain could fall. Conditions remain saturated or nearly saturated, so much of this rain will run off and end up in smaller streams and eventually main stem rivers, so there could be renewed flooding on some rivers across the eastern half of the state," said Chad Omitt, warning coordination meteorologist with the NWS in Topeka, Kan. 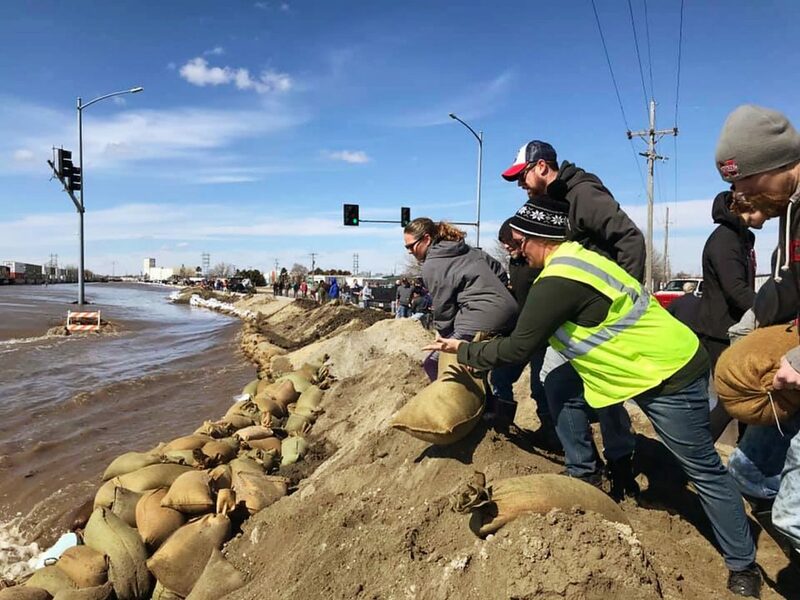 The major flooding on the Missouri River has subsided for the time being, however with additional snow melt across the Dakotas and rainfall, Omitt said these conditions will likely keep the Missouri River above flood stage for a prolonged period, heading into the first week of April. There are flood warnings that continue for the Missouri River at northeast and eastern Kansas, including at Atchison, Leavenworth, St. Joseph and Kansas City. Omitt is also advising folks in Kansas, especially along rivers and streams that an active early spring weather pattern can result in more frequent rain forecasts. "The monthly outlook calls for a continued active pattern with odds favoring wetter than average conditions across much of the region including Kansas. Obviously, if the rains continue, our reservoirs will be filling up along with our rivers," Omitt said. Therefore, flooding could continue to be a concern heading into April, if this active weather pattern continues. Omitt also said, that if this pattern continues and conditions remain saturated, it could result in problems for farmers ready to plant. • Reports of two people missing. • In Nebraska, when an 80-year-old woman was trapped in her home and was unable to be rescued. • A farmer near Columbus, Neb., died while trying to rescue someone, as he drove his tractor over a bridge that gave way in flood waters. • In Kansas, the NWS reports one flood fatality was confirmed near Fort Scott in Bourbon County, Kansas, due to a vehicle being flooded. • In Iowa, one flood fatality was confirmed in Fremont County, Iowa, due to a vehicle being flooded. 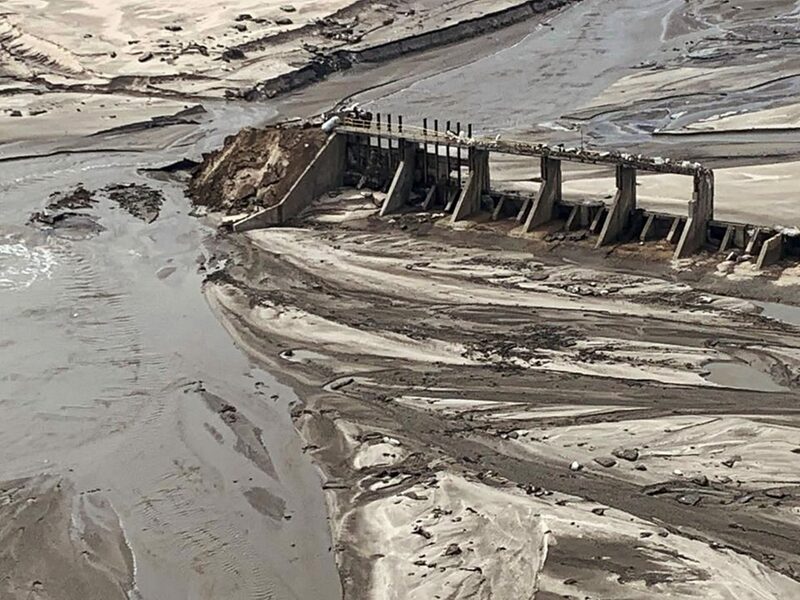 • Aerial footage indicated thousands of flooded structures across eastern Nebraska and western Iowa before the water receded. • About one-third of Offutt Air Force Base base near Omaha was flooded. • Staff from the National Weather Service office in the Omaha (Valley, Neb.,) area were temporarily relocated to the NWS office in Hastings, due to office flooding. • Nebraska agriculture losses are estimated to be over $1 billion; with over $400 million of those losses impacting livestock producers. • There were numerous evacuations in many Nebraska, Missouri and Iowa counties. 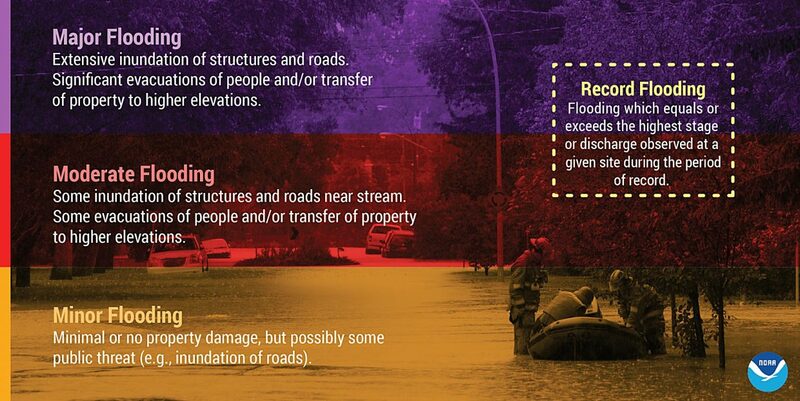 • Tribal communities impacted include the Ponca Tribe of Nebraska, the Winnebago Tribe of Nebraska, the Santee Sioux of Nebraska, and the Omaha Tribe of Nebraska and Iowa Rosebud Sioux Tribe declared a state of emergency due to flooding danger in their communities. • Many federal/country/state roads across central and northeast Nebraska remain closed due to extensive flooding. • Many levee systems were breached or compromised. Levees down-river in Missouri continue to be strained with additional evacuations due to expected levee failures ongoing. • In addition, the NWS said Iowa, Wisconsin and Missouri have also issued state emergency declarations. • The governor of Iowa said "It looked like an ocean," after viewing the impacts over the state of Iowa from record flooding. • Widespread moderate to major flooding continues on most area rivers in east central Iowa, northeast Iowa, southeast Iowa and northeast Missouri, as well as north central Illinois, northwest Illinois, west central Illinois. There was a chance of rain Wednesday night, with a higher chance Friday and Saturday (March 29-30). 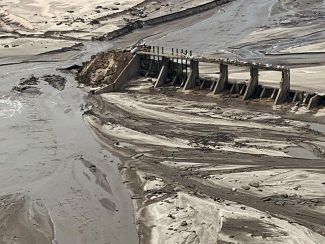 • The mayor of Fargo, N.D., has declared a state of emergency to begin receiving financial assistance as the city prepares for potential Red River flooding. • Ice jams and snowmelt caused small stream flooding in portions of northeast Montana, specifically in Wibaux, Richland, Dawson, Prairie and Garfield counties. • Flood advisories for snowmelt in northwest South Dakota were in effect through at least Thursday evening, March 28, for minor flooding in low-lying areas with several rural roads closed in Harding, northern Butte, Ziebach and northeastern Meade counties. "If people have seen flood waters recede, unfortunately as it all filters down, if you live in a place where flood waters recede, there's still potential for more flooding so be prepared and ready to take action, if needed," Ritzman said. The National Weather Service repeatedly reminds everyone to not drive through flowing water. Nearly half of all flood deaths are vehicle related. As little as 6 inches of water may cause a driver to lose control of the vehicle. Two feet of water will carry most vehicles away. — Hadachek is a freelance writer who lives on a farm with her husband in north central Kansas and is also a meteorologist and storm chaser. She can be reached at rotatingstorm2004@yahoo.com.